We’re not talking skipniu, here, Readers. The longboats of our favorite Vikings are not the 'ships of the day. These 'ships are “relationships” that may or may not be supported by “canon” - the story as given to us by the authors/screenwriters/playwrights who entertain us with their wonderful labors. In History Channel’s VIKINGS series, we have our favorite relationships. Some of them are predictable, some might be considered questionable or secondary, but still, we hold them. EVERYONE'S favorite 'ship is Ragnar and Lagertha. Two powerful, intelligent people who seem absolutely made for one another. Their passion and mutual respect were both beautiful to behold. Lagertha went off to forge her own destiny. She's had a husband and several lovers since, but everyone keeps hoping her destiny will lead her back into Ragnar's arms. Even though years have come between them, the chemistry is there for anyone to see, any time they share screen time. My next favorite “ship” is Floki and Helga. In the beginning, they seemed so perfectly compatible, but Floki's "issues" kept increasing. The arrival of their daughter seems to have only made things worse. Floki was genuinely frightened at how happy he was with his little family. He seems to have thought it was a challenge to the gods, or some sort of set up in order to rip the rug from under his feet. Patient Helga helped him as much as she could and tried to fight for their relationship, but it now seems Floki may have crossed the line for her. Sandi is less invested, but she feels just dreadfully for Helga, even as she sees Floki fall apart before everyone’s eyes. 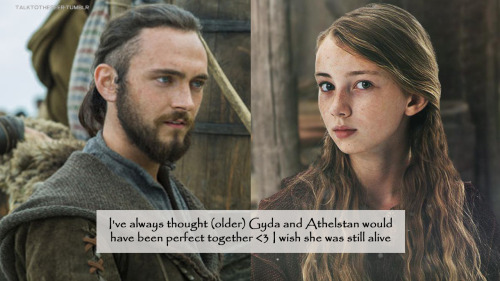 We both confess we hoped that Gyda would grow up to marry Athelstan. This would be an example of a non-canon 'ship. And apparently, we're not the only ones. The monk’s personality seemed to mesh so well with Ragnar’s daughter’s. She was sweet and gentle and nurturing - just what the Tiny Viking needed. 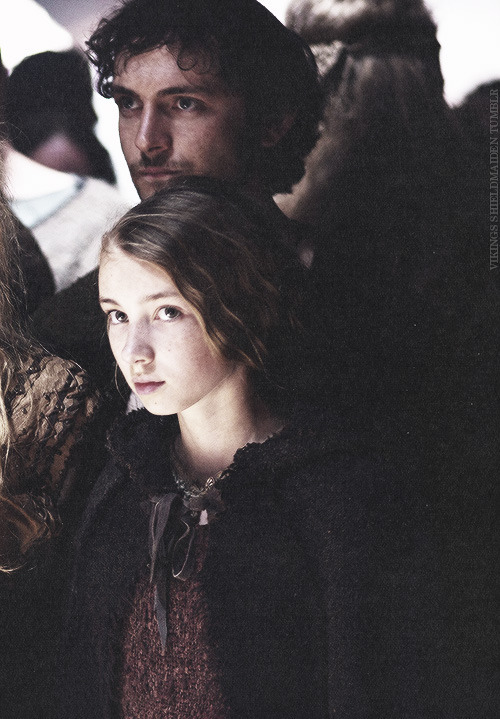 I know that by the time she had grown up, she would have been a princess and her hand would have been valuable for forging alliances for the new King Ragnar, but I think he would have been delighted to have his beloved Athelstan as a son-in-law. And, too, there was the possibility of introducing the Christianization of the Vikings into the timeline, albeit a bit earlier perhaps than it happened in history. There are a lot of people out there who loved Siggy and Rollo as a couple. Their relationship seems to have started as an alliance, nothing more. Siggy was lost in the world and needed a protector, and Rollo, brother of the jarl, seemed a perfect step up in the world. For a time, she egged him on in his desires to overthrow Ragnar. But it seems that love grew between them, and Siggy would stop at nothing to protect him. Rollo seemed to care for her, too, after his disappointment with Lagertha (yes! another ship!) but in the end, Rollo pursued his own interests, as did Siggy. What are your thoughts? Join Sandi and me, Lissa Bryan, tonight as we chat at 8PM EST on Twitter about our favorite 'ships and what the series might have in store for them. Use the hashtag #ShieldGeeks to join in the fun!